The demand for energy consumption is increasing rapidly. To avoid the impending energy crunch, more producers are switching from oil to natural gas. While natural gas engineering is well documented through many sources, the computer applications that provide a crucial role in engineering design and analysis are not well published, and emerging technologies, such as shale gas drilling, are generating more advanced applications for engineers to utilize on the job. 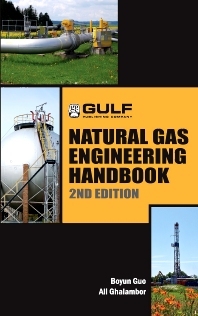 To keep producers updated, Boyun Guo and Ali Ghalambor have enhanced their best-selling manual, Natural Gas Engineering Handbook, to continue to provide upcoming and practicing engineers the full scope of natural gas engineering with a computer-assisted approach. 1.1 What Is Natural Gas?